The government of Lagos state has reiterated plans to relocate Computer Village in order to decongest the capital of the state. The state government made the announcement during the 2017 Press Briefing. “LASG has decided to relocate Computer Village to ICT Park Katangowa in Agbado/OkeOdo LCDA #Y2017PressBriefing,” the government tweeted with its @followlasg Twitter handle. The Computer Village, one of the biggest and highly patronized tech hubs for wide range of technology products in Nigeria, is situated in the heart of the state’s capital, Ikeja. 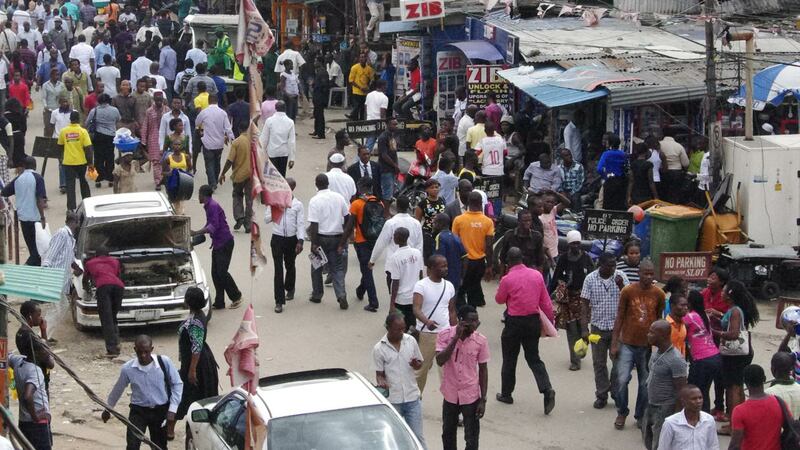 The Ikeja Computer Village is also one of the biggest hubs for products parts, and repair of gadgets. The Lagos state government said the relocation is aimed at curbing environmental degradation, housing stock deficit and traffic congestion in the state capital. Nigeria CommunicationsWeek recalls that in March 2009, Lagos State Government and the Computers And Allied Products Dealers Association of Nigeria (CAPDAN) reached a deal on the relocation of the Market by December that year, but it never happened. The computers and peripherals market is expected to be relocated to a new site in Katankowa, in Agbado Oke Local Council Development Area, LCDA, in Alimosho Local Government Area (LGA) along the Lagos-Abeokuta Express Road. This is in line with Lagos State Government’s policy to remove all markets from residential areas to more spacious and conducive sites. Babatunde Fashola, erstwhile governor of the State, first gave the approval for the relocation after reaching an agreement with members of the Computers and Allied Products Dealers of Nigeria (CAPDAN). Sunday Ogunfolaji, then social secretary of CAPDAN said the certificate of occupancy (C of O), of the land had already been acquired by members of Association. “Under a Public Private Partnership (PPP), we intend to build almost 5000 offices and shops at the new site which will be called ‘ICT Enterprise Zone’. Presently, there are between 2, 000 to 2, 500 offices and shops in the Computer Village. With an average of about three persons to one office, the number of traders in the computer village would be at about 7, 000 persons. So the new site has excess capacity”. However, in a spirited effort to relocate the market, the incumbent Government said via its twitter handle, “The relocation will curb environmental degradation, housing stock deficit and traffic congestion in the Ikeja axis,” the state government tweeted.